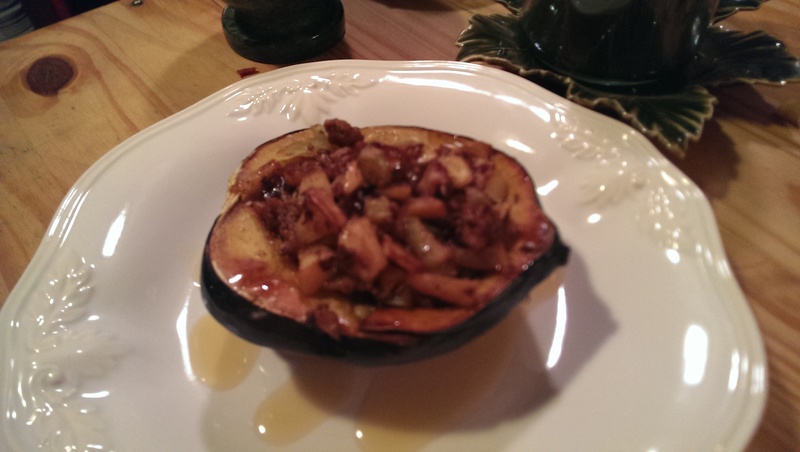 Cut acorn squash in half, remove seeds, place right side up on a baking sheet and cook at 375 for ½ hour. 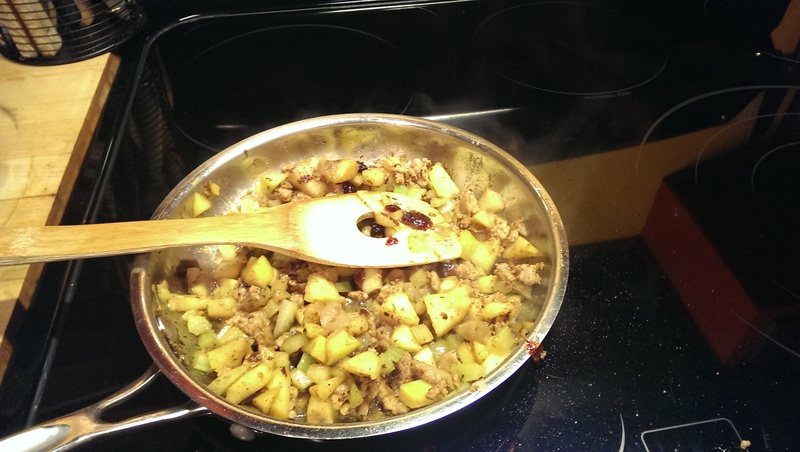 Saute in 2 tbs butter sauage, apple, celery, walnuts. cranberries, spices, apple jack. 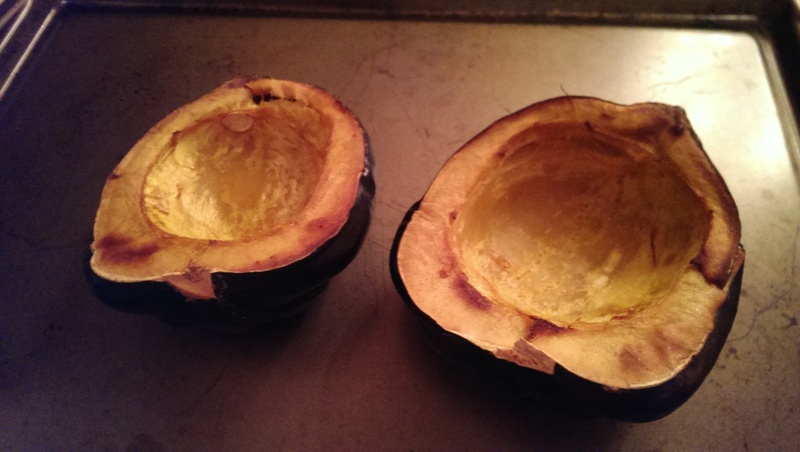 Spoon into the acorn squash halves. Drizzle with pure maple syrup, and serve. 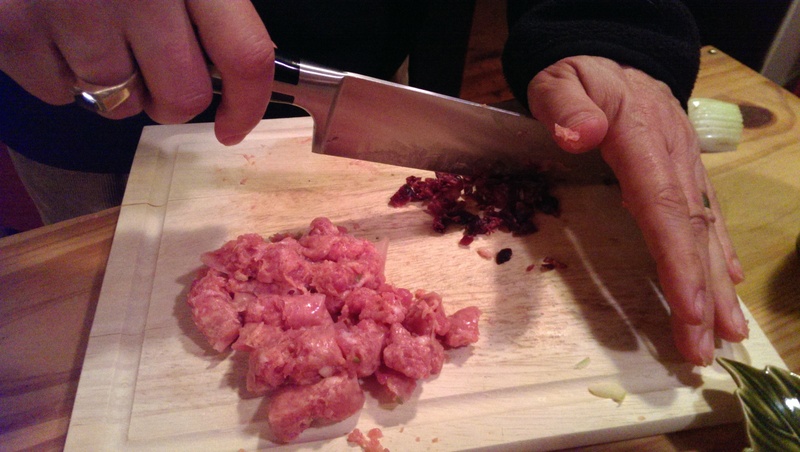 Paired with a rich California Cabernet or Chilean Carmenere, and enjoyed to the Best of Sinatra. It’ll get under your skin.